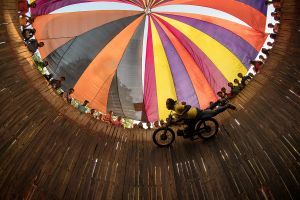 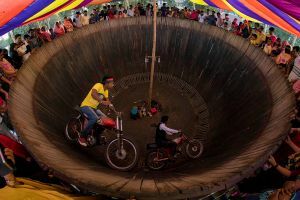 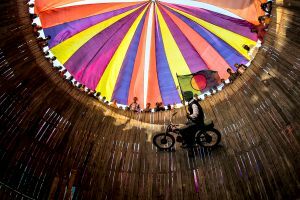 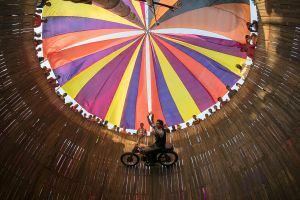 The Wall of Death is a carnival sideshow featuring a barrel-shaped wooden cylinder in diameter and made of wooden planks, inside which motorcyclists, or the drivers of miniature automobiles, travel along the vertical wall and perform stunts. 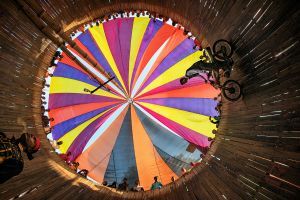 This performance can be seen in the various melas (fairs) held across the country. 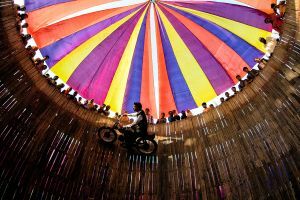 This performance is very risky. 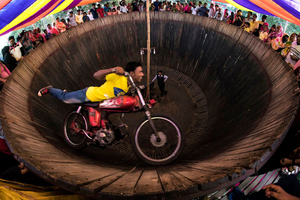 One mistake can take life of these performers.